The Ottoman period gate is located on the south side, and named after the Biblical gate that was located nearby. The Dung gate was located during the times of the first and second temples somewhere on the south side of the city, closer to the Kidron valley. The present gate, constructed by the Ottomans, is located near the southern wall, and is the main entrance to the western (wailing) wall. During the Biblical period, the gate was located to the south-east of the existing gate, located on the walls of the City of David - closer to the Kidron valley, adjacent to the Shiloah pool. The garbage and ash from the temple was removed through this gate, earning it the name "gate of the garbage" (Sha'ar Ashpoth). 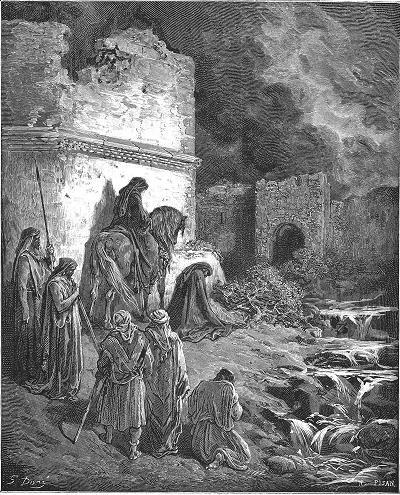 The gate is described in Nehemiah's accounts on his survey of the ruined walls after relocating from the Persian court to Jerusalem (about 445 BC). At this time the exiles returned from Babylonian (538 BC to 445 BC), but the condition of the city was yet in a bad shape. Then said I unto them, Ye see the distress that we are in, how Jerusalem lieth waste, and the gates thereof are burned with fire: come, and let us build up the wall of Jerusalem, that we be no more a reproach.". 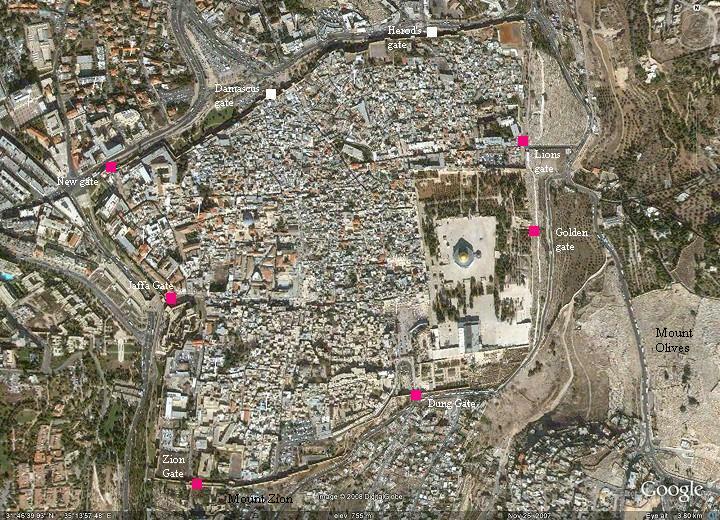 Nehemiah receives a permission from his master, King of Persia, to rebuild the walls of Jerusalem. His workers rebuild the gate (Nehemiah 3 14): ""But the dung gate repaired Malchiah the son of Rechab, the ruler of part of Bethhaccerem; he built it, and set up the doors thereof, the locks thereof, and the bars thereof". The present gate was built during the construction of the walls by Suleiman "the Magnificent" (1538). It was a narrow gate and allowed only access by foot. The gate was used by the villagers from nearby Silwan. 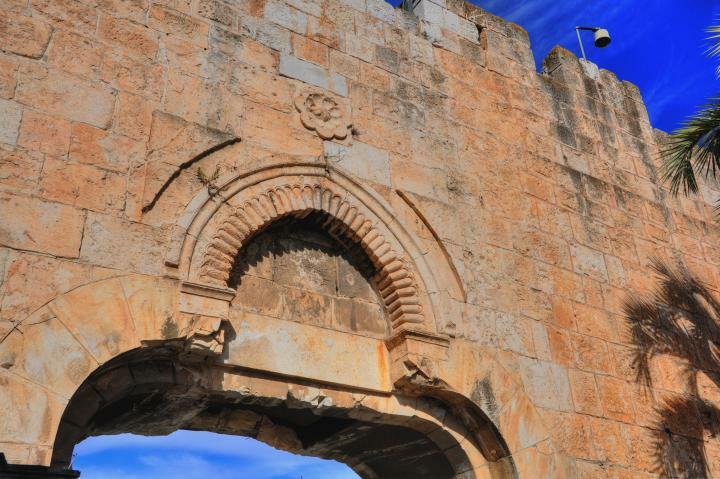 In 1948, following Israel's independence war, the Jordanians controlled the old city. They widened the gate in order to allow vehicle passage. 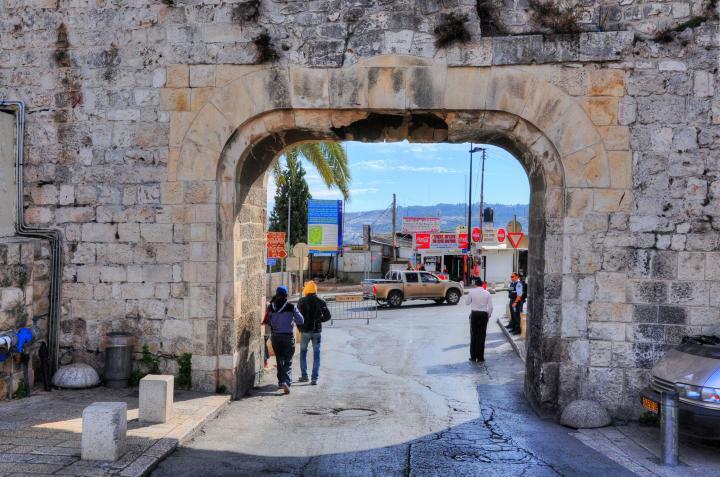 During the 6 day war (1967) the old city was reclaimed by Israel, and the Israeli forces used this gate as one of the entry points. 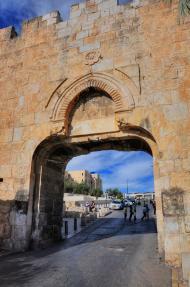 The gate then became the main entry to the Western (Wailing) wall and the Jewish quarter. The external side of the gate is shown below. 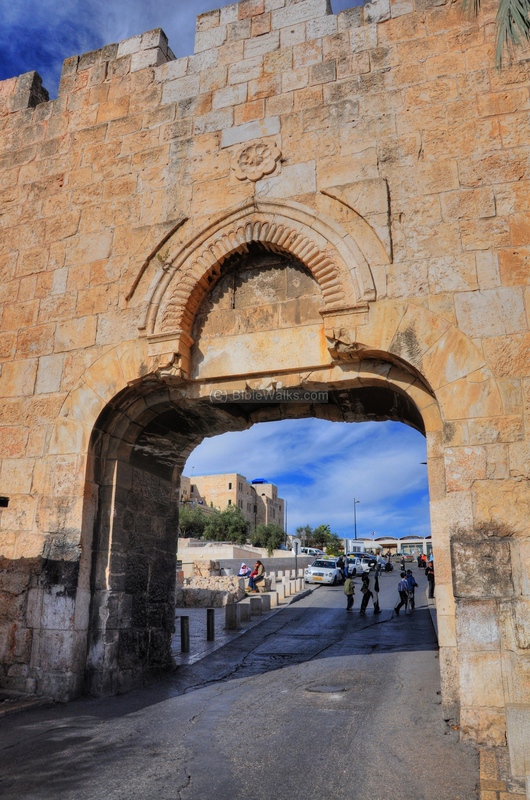 The gate is dated to 1948 when the Jordanians opened up the narrow entry in order to allow vehicles to drive into the old city from its south side. Another view of the external side. Past the gate is the entrance to the southern wall archaeological park (entry on the left side) and further on the Western wall and the Mugrabim gate, one of the entrances to the temple mount. The following photo shows the inner side of the gate. "And I went out by night by the gate of the valley, even before the dragon well, and to the dung port, and viewed the walls of Jerusalem, which were broken down, and the gates thereof were consumed with fire". "But the dung gate repaired Malchiah the son of Rechab, the ruler of part of Bethhaccerem; he built it, and set up the doors thereof, the locks thereof, and the bars thereof". Ashpoth - Hebrew for garbage. This name was "earned" from the use of the valley west of the temple mount to dispense the garbage and the ash from the temple. Dung - Manure or garbage, translated from the word "Ashpoth". Westerners, Mugrabim - since the North-Africans quarters were located on this section of the city before 1967, the gate was named after them. Another gate into the temple mount also shared the same name. Tanners (Bursakaim) - During the Crusaders period, the valley west of the temple mount was used for the leather industry, so the gate was named after this profession.